Divi is a premium WordPress theme by Elegant Themes. It has proven to be one of Elegant’s most popular themes and now they are releasing Divi 3.0, which will introduce some exciting new features. And we have a special Elegant Themes discount to give you for this launch and also two developers licenses to give for free! These Elegant Themes discounts are time limited, so make sure you don’t miss it. Follow this link to get the entire Elegant Themes pack, developer account for $70 instead of $89 ( that’s a 20% discount, and is almost for the same price as the personal license!). Remember, these give you access to all of Elegant Themes 87 themes, and not only the Divi theme. Also, for this exciting launch, we’ve arranged for you 2 free Elegant Themes developers accounts. All you need to do to take part in this giveaway is to use the PromoSimple widget below. You have various options to increase you chances of winning, by following us on FB, Twitter leaving a blog comment and subscribing to our list. This Elegant Themes giveaway starts on May 21st and ends on May 28th. We will announce the two lucky winners in just a week from now. Enter below to take part in the giveaway! Now, let’s see what makes the Divi theme special and what’s coming up with the new version. Let’s start off by looking at some of the original features that made the original Divi theme so powerful. Divi Builder -One of the reasons that WordPress is so popular is that it allows anyone to create a website easily. 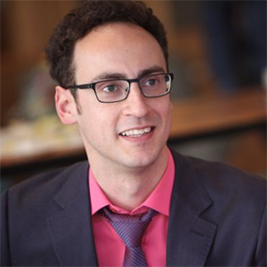 Yet most themes limit what you can do if you don’t have advanced technical skills. The Divi theme, however, allows you to create diverse and attractive layouts without any need to code. This gives your WordPress site the look of a dynamic website. Choice of Layouts -Divi comes with 18 customizable layouts. This lets you create precisely the look you need for your blog or website. Some of the modules that you can use include Shop, Blog, Slider, Image, Text, Blurb, Call to Action, Subscribe and lots more. These are the building blocks of your Divi site and you can combine them in your own unique way. Each module comes equipped with a custom CSS box. Responsive Design -As more of your visitors and customers are accessing the internet from tablets and mobile phones, responsive design is becoming increasingly important. The Divi theme is fully responsive, so you can be sure that everyone who visits your site will have the same experience. Responsiveness is built into the theme, so there’s nothing for you to do but create your site. ePanel -As with all Elegant Themes, you can manage Divi from your ePanel. This makes it simple to manage your site without the need to do any coding. You can do things like add SEO capabilities, change your layout, manage ads and turn features on and off with a few simple clicks. ePanel integrates seamlessly with your WordPress dashboard. More layout, navigation and header options. Social sharing buttons to easily share content on your favorite social sites. More options for displaying images and portfolios. You can see a sneak peak of Divi to find out more about what this versatile and responsive theme has to offer. 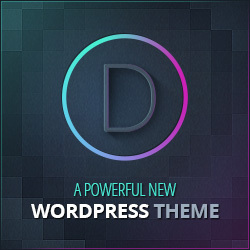 Divi WordPress Theme is the latest and most advanced themes created by Elegant Themes. Elegant Themes is a membership site that provides members with a variety of themes for one price. Currently they have 87 themes, and new ones are added regularly. For $69 per year, you get access to all of their themes as well as free updates and premium technical support. Elegant Themes also offers a Developer plan for $89 per year that provides members with layered Photoshop files and access to a set of helpful WordPress plugins. These plugins give you additional capabilities to make your site more powerful and unique. Handheld Mobile Plugin -Makes any site mobile friendly, no matter what theme you are using. Elegant Shortcodes -Gives you access to convenient shortcodes, even if you’re using a theme not created by Elegant. Maintenance Mode Plugin -Creates a “Coming Soon” page for your website. Elegant Page Builder -A drag and drop page builder that lets you create advanced layouts for any page or post. You can also get a Lifetime Access plan that gives you all of the benefits of the Developer plan, including all themes and plugins, for a one-time fee of $249. The Developer and Lifetime Access plans are perfect for anyone who has multiple WordPress sites. Make sure you take advantage of our Elegant Themes discount promo offered here, it’s time limited!